Pulling Up Roots is the emotional journey of a woman who is navigating the tenuous strain between the past and the future. 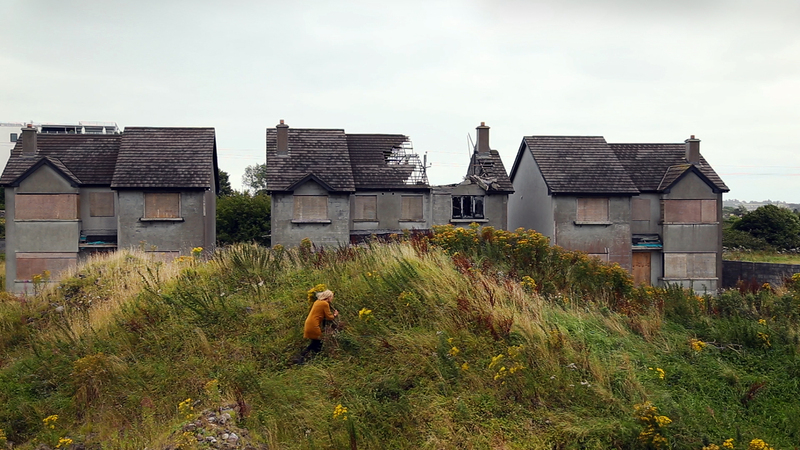 Filmed in an abandoned housing project in Western Ireland, she uproots exotic plants and flowers, as one might collect stories and memories one can’t understand. Condit’s operatic songs and childlike rhymes give a sense of naiveté and strength that comes from her solitude. From a playful skip around the yard, to a moment where profound sadness gives way to unexpected laughter, she explores an entire lifetime of emotions in mere minutes.